Photoshop is one of the most famous software in the photo editing and designing scenario. However, apart from designing professional logos, Photoshop is also famous among cartoonists and comic designers. 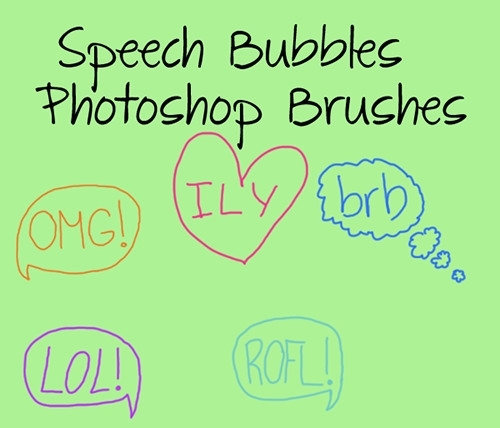 The comic designer’s best friend is speech bubble Brushes. The speech bubbles are very important part in comics. From a long time cartoonist has loved the free hand designing. There are various brushes using which the designer can design their comic in free hand. 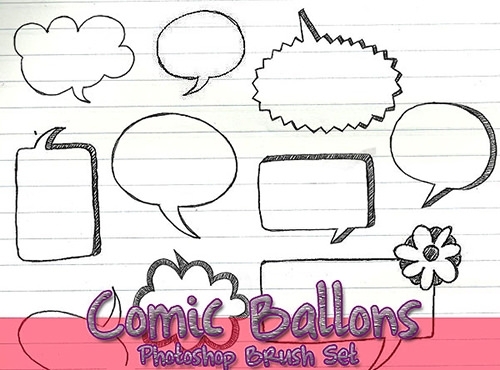 The free hand along with speech bubble brush creates magical effects appealing to the audience and the client. If you want to make the comic strip much more attractive to the common masses, then use of these brushes is a must. These will assist you in making the conversations pop up in the forefront and grab all attention. 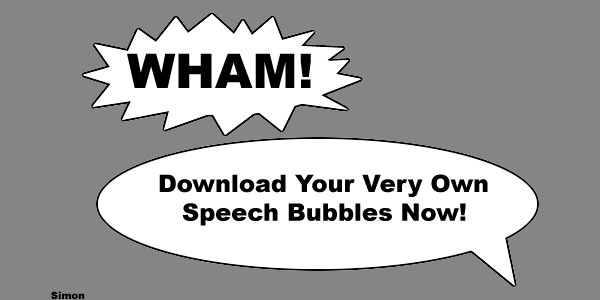 If you are accomplished cartoonists or an animator, then you must have an idea about the importance of bubble speech templates. One look at these designs will assist you in taking care of all conversation highlighting requirements. This is a multi-purpose pack of more than 90 graphic tools that will make the work of any comic illustrator, an animator or a cartoonist easy and quick. These high-resolution tools will be available free of any charge on the internet. The charm of hand drawn bubble speech highlighters never goes out of fashion. This is a set of high-resolution graphic tools, which will make the artwork even better than the handmade ones. They will still retain the feel of the hand drawn bubble. 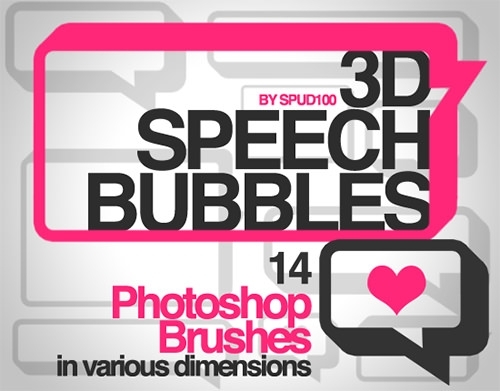 If you are fond of vector style of visual brushes, then this is the template for you. Here you will get a set of 20 amazing brushes, which will make your task easy and fun at the same time. These can be edited according to the need of the animator. 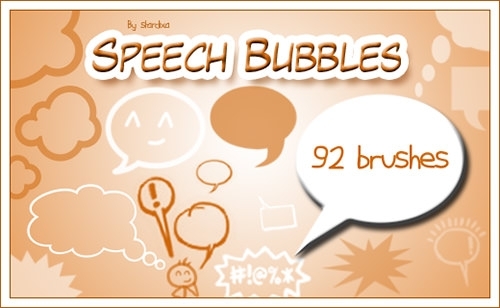 If you want to make a comic strip or edit a funny image in Photoshop with funny conversations, then there is nothing like the bubble speech brushes. Highly effective in usage, they come in various styles and patterns, for your every need. This the most appropriate template for highlighting the funny conversations between the animated characters of the comic books and that is why more and more cartoonists are making use of this template over the years. If you are editing an image in Photoshop or any other editor, then this is the set of brushes will come in handy. The bubbles can be edited according to the needs of the animator, and you can also change the pattern and colors as well. 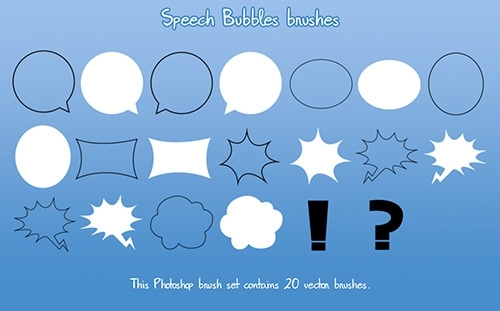 This is a template that has a set of 18 amazingly effective visual brushes. 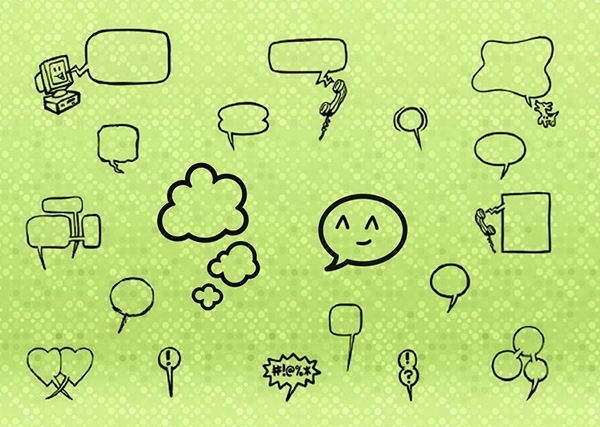 Use them for giving a realistic feel to the editing and highlight the conversations with competence. It is available on the internet for free and just needs to be downloaded. If you are a black and white lover, then this set of brushes will meet your requirements appropriately. The pattern is unique, and so, the power of drawing attention is also enhanced considerably. Use it in Photoshop or any other editing software for best results. You can find attractive variety among our collection of the bubble brushes. There are different shapes available like stars and clouds. 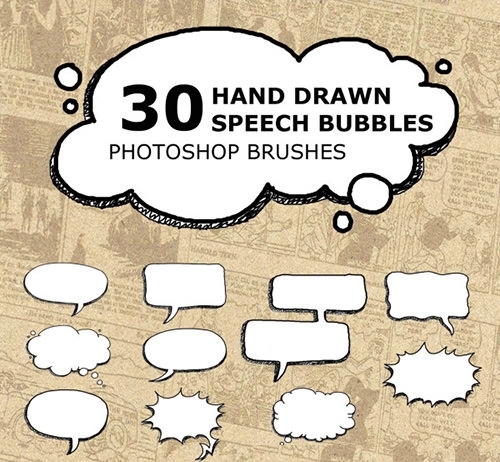 Designing comics and cartoons has never been so easy before in before the bubble brushes. Impressing your client with the collection of these is the best thing you can do. You can choose the size and shape according to the scene of your cartoon. 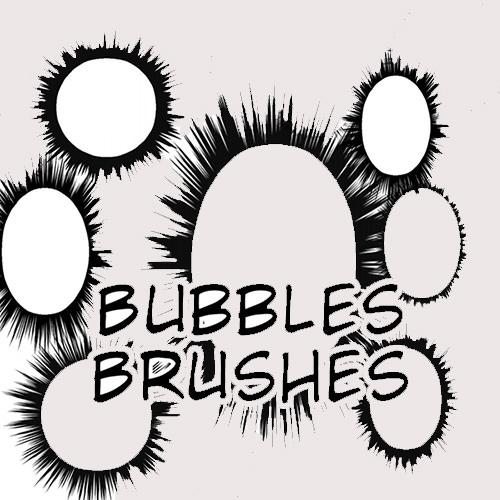 Rejuvenate your comic designing experience through our collection of bubble brushes. Consider you have an interesting comic strip or a cartoon situation. 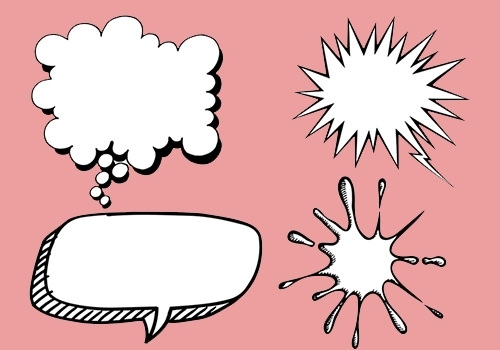 Now to make your creation look more appealing it is very important that you add some attractive bubble talks to it. Without the bubble effect, the comic strip is faded and may even go unnoticeable because then it will be a silent comic. 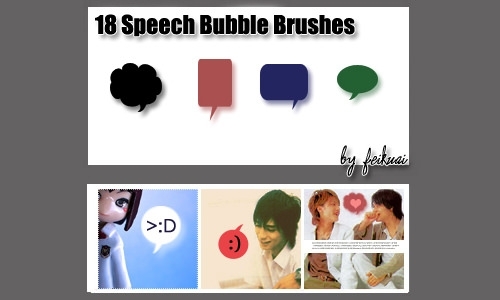 It is very easy all you need to do is just download the collection of bubble brushes. Moreover, you need not to be afraid, as these collections are free of cost.